Panel Questions The Trump Dump, Jail-cation. 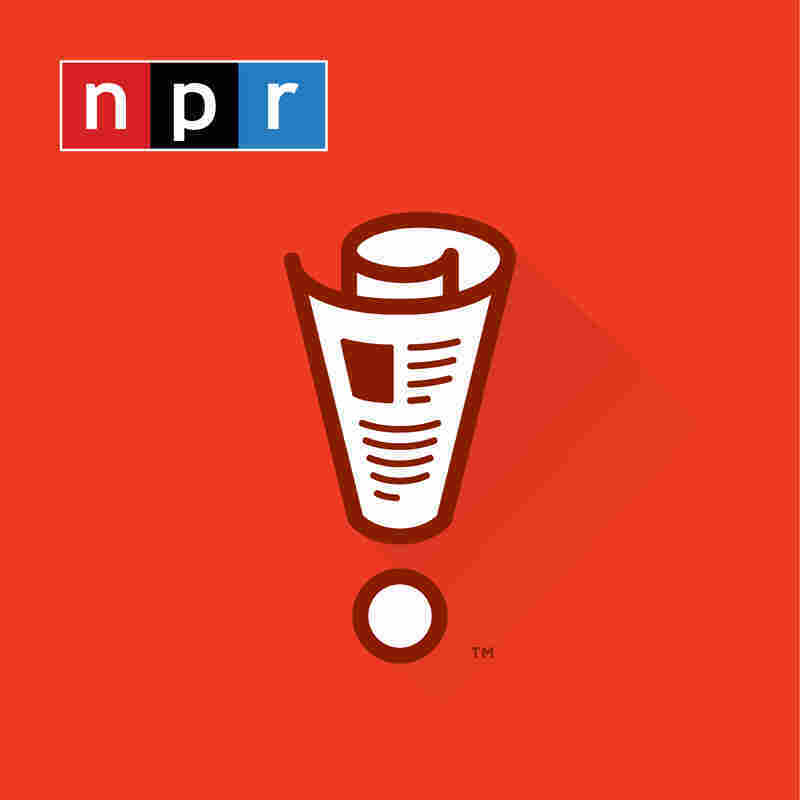 BILL KURTIS: From NPR and WBEZ Chicago, this is WAIT WAIT... DON'T TELL ME the NPR news quiz. I'm Bill Kurtis. We're playing this week with Tom Papa, Bim Adewunmi and Brian Babylon. And here, again, is your host at the Chase Bank Auditorium in downtown Chicago Peter Sagal. SAGAL: ...There's so much Trump news in a single week, you just have to grab a magazine and stay with it until you deal with all of it. SAGAL: We're going to ask you rapid fire questions about Trump, true or false. Get it right, you get a point. Here we go. BIM, true or false. On Thursday, Trump said the Mueller investigation has cost taxpayers $30 million. SAGAL: No, false. He said that on Tuesday. SAGAL: On Thursday, he said it was $40 million. SAGAL: Brian, true or false. When asked what he was thankful for on Thanksgiving, Trump said himself. SAGAL: No, it's true. That's what he said. Tom, true or false. This week, Donald Trump said he did not know if Janet Yellen was smart enough to lead the Federal Reserve. SAGAL: No, false. He said he didn't know if she was tall enough to lead the Federal Reserve. SAGAL: Absolutely true. He decided that only, like, 5 feet something she was too short to have the position. Bim, true or false. Responding to a question about climate change, Trump said that the oceans are very, very large. SAGAL: That's right. He said the oceans are very small. SAGAL: Brian, true or false. At a rally in Biloxi, Miss., Trump entered the stage through a fake chimney in the manner of Santa Claus. SAGAL: Tom, true or false. Later, at that same rally, he told the crowd people say he looks like Elvis. PAPA: This game is so hard. True. SAGAL: Brian, true or false. Secretary of State Mike Pompeo hired an aide who got the job despite saying that President Trump has made some, quote, "rookie errors." SAGAL: No, false. She said Trump is, quote, "delusional on foreign policy and demonstrates frightening ignorance." BABYLON: It's always worse. It's just always worse. SAGAL: Panel, time for some more questions from the week's news. Brian, in South Korea, stressed out students and office workers have a great chance to escape the pressures of everyday life. Thousands of people there have paid $90 to spend a day relaxing, where? BABYLON: All right, give me a light hint. SAGAL: Light hint, well, this is actually true. At the end of your day, you are given a certificate of parole. BABYLON: Because it makes you realize you ain't got it so bad. And actually prison is relaxing. SAGAL: Well, yes. This is basically the idea that for $90 you get to go relax in a "prison," quote, unquote. You put on a uniform. You're locked in a small room without any technology. That's very important. You have to give up your phone. You can't talk to the other inmates. And you get your meals slid to you through a slot in the cell door. Imagine how lucky Paul Manafort feels. He gets all of this for free. SAGAL: And this is because apparently South Koreans are extremely stressed and getting away from it all even if it's to a weird facsimile of a jail. Seems like a wonderful break. PAPA: I thought South Korea was the fun Korea. SAGAL: The other, North Koreans are like, you're trying to get into jail? PAPA: Yeah, I thought they had, like, cool video games we haven't even heard of yet. PAPA: And they're really enjoying their life. PAPA: They were really going off. This sounds kind of bleak. SAGAL: I think you just did come up with a great tourism slogan for South Korea. It's like come to South Korea, the fun Korea. ADEWUNMI: I like it. I think, you know, in many ways we've all grown too wealthy. ADEWUNMI: Yeah, and you can tell because we're paying money to go to jail. ADEWUNMI: It doesn't make any sense. I mean, having said that, I want to try it. SAGAL: You know, we brought this up so we can make fun of it. But the more I talk about them, like, that actually sounds pretty great. PAPA: And I get the part about not wanting to spend money. So just go out and just push an old lady over into traffic. WEBB PIERCE: (Singing) He's in the jailhouse now. He's in the jailhouse now. He's in the jailhouse now. He's in the jailhouse now. I told him once or twice to quit playing cards and shooting dice. He's in the jailhouse now.